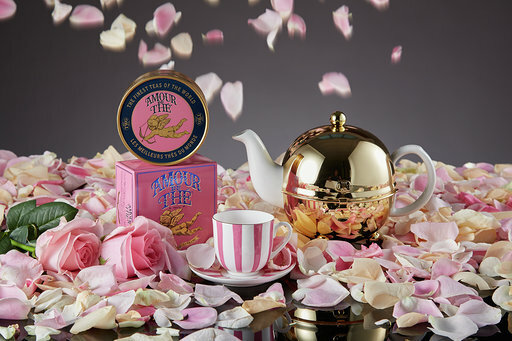 Celebrate Valentine’s Day With TWG Tea! 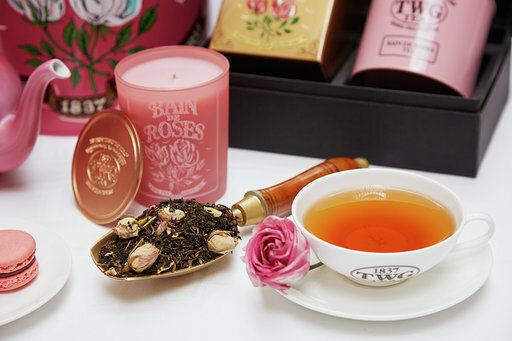 ONIN London > Food > Celebrate Valentine’s Day With TWG Tea! Monday night OnIn.London we were lucky enough to attend the launch of TWG Tea’s decadent two and three course Valentine’s Day set menu. We attended the Leicester Square Tea Salon, however, the menu is also available at the Knightsbridge TWG Tea Salon. The menu is designed by TWG Tea Executive Patisserie Chef Philippe Langlois and TWG Tea Executive Chef Gael Gomez, with each dish on the menu infused with teas expertly picked from over 800 that TWG Tea stocks. For our starters, my guest and I both chose the quinoa, feta and beetroot salad. It was extremely lovely and a perfect way to start the meal. Next up I chose the Asparagus Risotto while my guest chose the slow cooked Lamb dish with dauphinois potatoes. Both these dishes didn’t last long on the plates and if it had been socially acceptable, we both would have licked our plates clean. Finally for dessert, the fabulous Chocolate and raspberry dome. It was almost too beautiful to eat but for the sake of our lovely readers, we had to! It was of course, just like the rest of a meal and the gorgeous venue we were in… absolutely divine! The menu is priced at £22.50 for two courses and tea and £27.50 for three courses and tea. Pretty damn impressive for when you want to spoil a loved one this Valentine’s Day. The menu is available from Monday 11 February – Sunday 17 February. As well as the delicious menus, TWG Tea has stunning and exclusive tea blends that are perfect for gifts for loved ones. 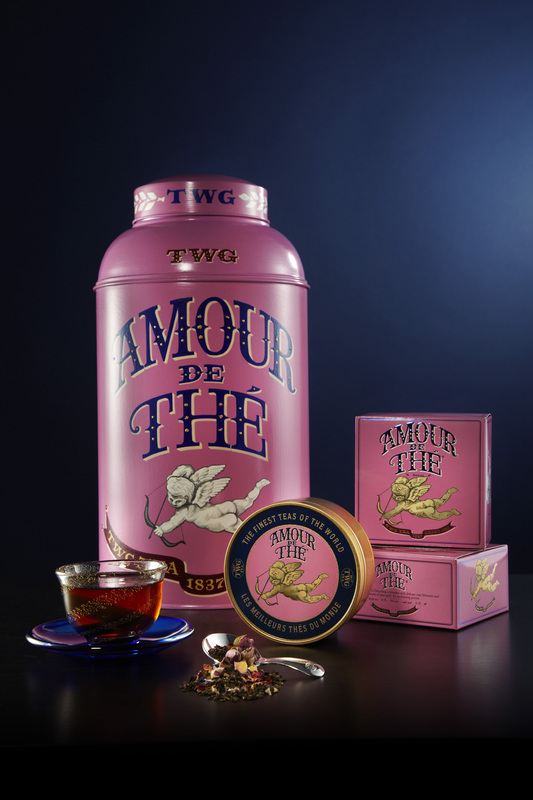 The ​Mon Amour Tea celebrates the precious journey of romance and courtship in an artfully packaged caviar tin, enveloped in a majestic blue gift box for the queen or king of your heart. This black tea is blended with yellow blossoms and sweet notes of quince, the sacred fruit of the goddess of Love, Aphrodite. It is priced at £27.00 for 100g. 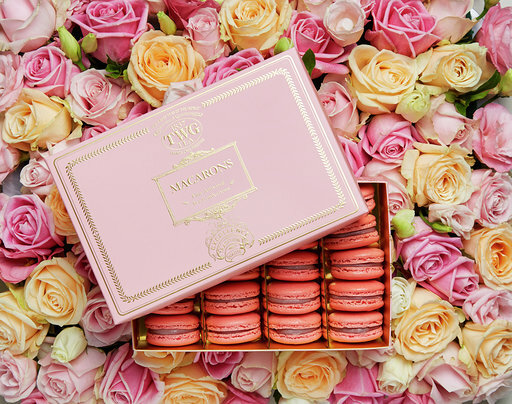 Or why not try the Mon Amour Tea or Bain de Roses Macarons​ that are available in boxes of 6, 12 and 24 priced at £10.80, £21.60 and £43.20. We were able to try these in the beautiful goodie bag we got to take home and they were almost too good to share! 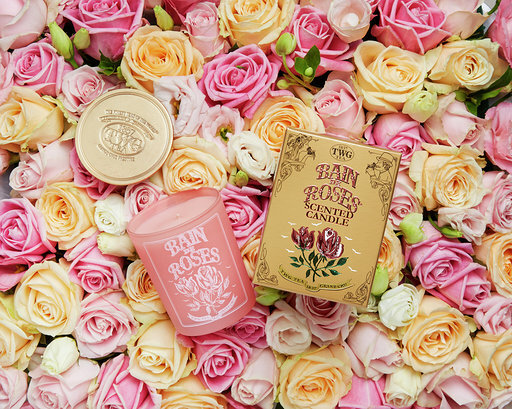 Or if the love of your life prefers candles, why not buy them the Bain de Roses Tea Scented Candle​. The candle is combined with delicate Grasse roses, a secret bouquet of black tea, heady notes of white sandalwood, warm vanilla and fresh grapefruit. The candle is priced at £53!